I got a message from a friend earlier asking about the lens I have on my camera. Anyone who has ever asked me a question about my camera rapidly learns that I know zilch about the technical side of photography. As long as I can turn the camera on and twiddle with the buttons until I get photos I like, I’m content. Have yet to learn any more. I am so glad I bought these! 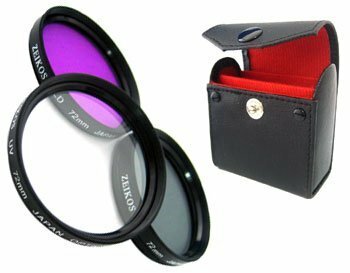 No longer need to worry about scratching the lens or getting greasy finger prints on it… So much cheaper and easier to replace if anything bad did happen! As I am er, not the most technical, so I tended to clean my lens with the softest thing I had to hand. Real photographers would flinch at the mere mention of this. Now I have this beauty in my camera bag! No more using silk scarves and sighing at little bits of lint ruining the shot! Well worth it. I’m on the hunt for a camera bag that will contain my SLR and rather large lens, that won’t destroy my shoulders/back/neck on a day of sight seeing… If anyone has a recommendation for that or for a nice shoulder strap, please let me know! I’m going to add stuff to the Photography section of my Amazon shop as and when I find it. You can check it out here. © 2019 The Other McClane.